Vyvanse (Lisdexamfetamine): What Is It And Can It Cause Addiction? What Is Vyvanse (Lisdexamfetamine) And Is It Addictive? Vyvanse is a stimulant, used to treat various conditions like ADHD and binge eating disorder. Still, while it is beneficial for some, lisdexamfetamine dimesylate, which is the main component of Vyvanse, has a high potential for abuse. Reportedly, around 31% of U.S. college students obtain and use Vyvanse and other stimulants illicitly. Even more disturbingly, almost 90% of students taking ADHD meds get them by faking symptoms of the disorder. What Is The Medical Use Of Vyvanse? What Are Downsides And Benefits Of Vyvanse? What Are the Dangers Of Lisdexamfetamine Misuse? How To Support Addicted Family Member? What Is The Treatment For Lisdexamfetamine Addiction? Vyvanse speeds up brain activity, improves attention, suppresses appetite, and increases energy, which makes it a suitable medication for treatment of various psychiatric disorders. Lisdexamfetamine belongs to a class of compounds called substituted amphetamines. Once absorbed, it triggers a reaction that results in the production of dextroamphetamine, a powerful central nervous system stimulant. Lisdexamfetamine is also sold under Elvanse, Samexid, Tyvense, and Venvanse brands. The FDA classifies all of those medicines as Schedule 2 drugs. Also, Lisdexamfetamine is a controlled substance limiting its free use. There are also many Vyvanse generics available on the market. Lisdexamfetamine (Vyvanse) is mainly used to treat ADHD in adults and children who are at least 6 years old, as well as binge eating disorders, Asperger syndrome, and some other disorders. As a stimulant, Vyvanse drug displays excellent results in the treatment of patients with difficulties controlling behavior and paying attention. Vyvanse medicine is also frequently used as a part of an ADHD treatment program rather than a single remedy. To achieve the best results that would allow a child to cope with the disorder and reduce its impacts effectively, a complex approach is recommended. 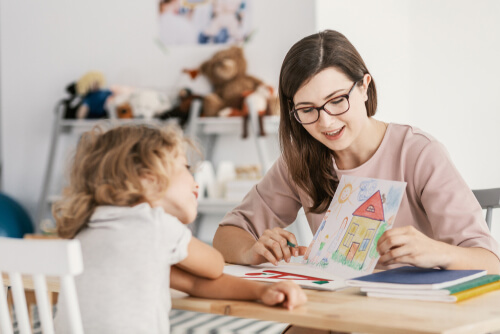 Lisdexamfetamine dimesylate may be combined with behavior therapy, family therapy, various special education options, and classroom adaptations to create a comfortable environment for the child and facilitate improvement. Vyvanse lisdexamfetamine comes in many forms. A patient can expect to be prescribed Vyvanse pills or capsules. The recommended starting dose is 30 mg daily. However, Vyvanse dosage varies depending on the patient’s needs and should not be changed without medical supervision. The official medication guide by the U.S. Food and Drug Administration suggests storing lisdexamfetamine in a safe, dark place at room temperature (59 to 86° F or 15 to 30° C). It is also crucial to ensure Vyvanse is inaccessible to minors due to its high potential for abuse. Due to its main component lisdexamfetamine, Vyvanse allows to improve symptoms or even treat various disorders. ADHD medication Vyvanse relies on lisdexamfetamine stimulant properties to affect nerves and chemicals in the brain that are responsible for impulse control and hyperactivity. Considering Vyvanse benefits, it is a long-lasting stimulant that utilizes a delivery mechanism in which the active substance in the drug does not have to interact with the gastrointestinal tract since it is released biochemically. Consequently, it affects how long Vyvanse lasts. Despite the benefits of lisdexamfetamine, it may seem a counterintuitive approach to some, although the use of stimulants for the treatment of hyperactivity disorders is a common practice. Stimulants like lisdexamfetamine proved to help people focus on the task, reduce fidgeting and impulsivity. However, the benefits of Vyvanse can be outweighed by additional challenges due to their addictive properties and dangerous health consequences when misused. In addition, Vyvanse cost can be startling at first, with prices for a 30-day supply of the drug ranging from $200 to $300 without health insurance. That’s why the price is not among the main lisdexamfetamine benefits. While the range of Vyvanse positive effects is indisputably broad, abusing lisdexamfetamine can cause severe mental and physical problems. 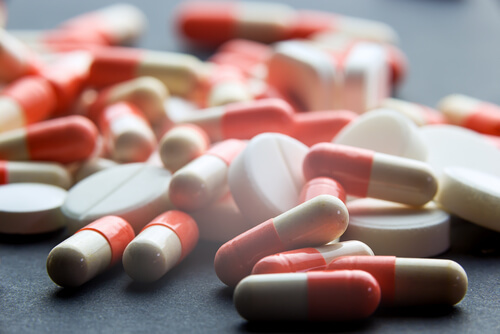 As it is common for prescription drugs, Vyvanse side effects can be quite severe. They are rarely detected in patients who follow their doctor’s recommendations. Still, it is important to remember that there is always a risk to become addicted to Vyvanse. In certain cases, the use and abuse of lisdexamfetamine can lead to deterioration of the existing condition and development of new disorders. This way, lisdexamfetamine shouldn’t be used by children with psychosis, and consultation with a doctor is required when other psychiatric disorders are present. There is also a debate about the safety of using Vyvanse during breastfeeding. While Vyvanse abuse might have adverse effects on the child, in situations when the benefits outweigh the risks a woman can use it under medical supervision. When lisdexamfetamine dimesylate is abused or even used for recreational and other non-medical purposes, it can cause severe damage to the mental and physical health of an individual, including paranoia and impaired judgment and speech. Also, Vyvanse may provoke erectile dysfunction. Mixing Vyvanse and alcohol, weed, or other prescription stimulants or illicit drugs can all turn out to be a deadly combination. Unlike it is in case of recreational drugs, Vyvanse high is barely possible to achieve. Snorting Vyvanse, smoking it or ingesting it in any other way than orally will not produce stronger effects. However, it is highly possible to gain lisdexamfetamine addiction taking it in a different way. Being a stimulant, lisdexamfetamine is alluring to those who frequently experience fatigue, depression, and stress. At the same time, Vyvanse possesses certain chemical properties that cause physical dependence and make it harder to quit using the drug. Vyvanse addiction includes possible development of physical and psychological dependence. Lisdexamfetamine indirectly triggers the production of dopamine, which, in turn, is a major part of the reward system in the brain. This neurotransmitter helps the brain recognize beneficial actions and create habits to make people repeat them. This is how addiction to lisdexamfetamine dimesylate develops. Consequently, one experiences Vyvanse symptoms, as well as cravings that addicted people feel for drugs. When the brain of addicted to Vyvanse person adapts to the new levels of dopamine, it begins perceiving them as a natural state. Such Vyvanse tolerance forces a person to take larger doses of the drug to achieve the same effects. In addition to reinforcing the addiction, it can lead to lisdexamfetamine overdose, damage to the liver and heart or even death. Besides, this mechanism of adjustment makes Vyvanse withdrawal quite painful. Physically, a person may experience nausea, fatigue, and sweating. Psychological symptoms of lisdexamfetamine addiction include insomnia, depression, anxiety, etc. It is rarely possible for the individuals addicted to Vyvanse to stop abusing it on their own. However, with professional medical help and therapy, many reach full recovery. Many people believe prescription drugs are virtually harmless. This delusion frequently makes it hard to notice the beginning of the abuse and promotes denial of the problem. Vyvanse addiction is, in fact, a potentially life-threatening issue, bringing consequences that spread beyond the addicted person. Family and friends might often feel shocked, angry, and scared when they learn about their loved one’s drug addiction. They might want to distance themselves or even cut ties with the addicted to Vyvanse person. While these feelings are understandable, they can turn into a massive discouragement for the person. Instead, a family should start an honest conversation about addiction, show support, and help the person take the first step towards getting addiction treatment. Vyvanse addiction treatment often includes medications such as Naltrexone and Prozac to reduce cravings during detox. The duration of the detoxification period is determined by how long lisdexamfetamine stayed in your system, the quantity ingested, and other individual factors such as age, gender, and general physical condition. 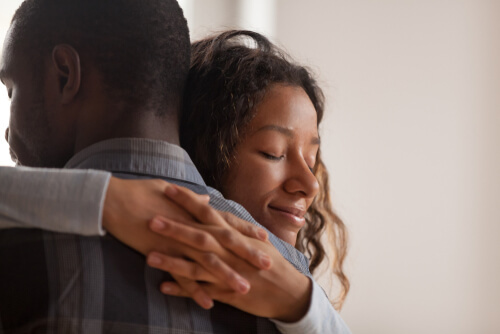 Vyvance treatment includes both inpatient and outpatient programs, as well as special options like couples or family rehab and rehab for pregnant women. The best results can be achieved when a person enrolls in a lisdexamfetamine addiction treatment that meets individual needs. A comfortable environment and support along with appropriate medication and cognitive behavioral therapy dramatically increase a person’s chances of successful long-standing benefits of Vyvanse treatment. Vyvanse is a drug that plays a major role in the lives of those who have ADHD, binge eating and other mental disorders. It’s a stimulant that improves attention and focus. 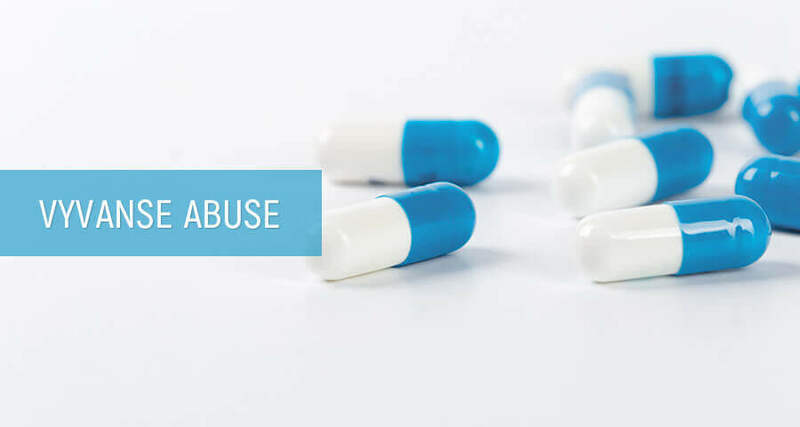 However, when used incorrectly or purposefully abused, lisdexamfetamine can cause addiction and other health issues, including stroke, heart attacks, blood circulation problems, and hallucinations. It is, therefore, vital to seek help at specialized rehab centers as soon as addiction becomes apparent. Addiction Resource » Addictive Substances: The Anatomy of Drug Addiction » What Is Vyvanse (Lisdexamfetamine) And Is It Addictive?